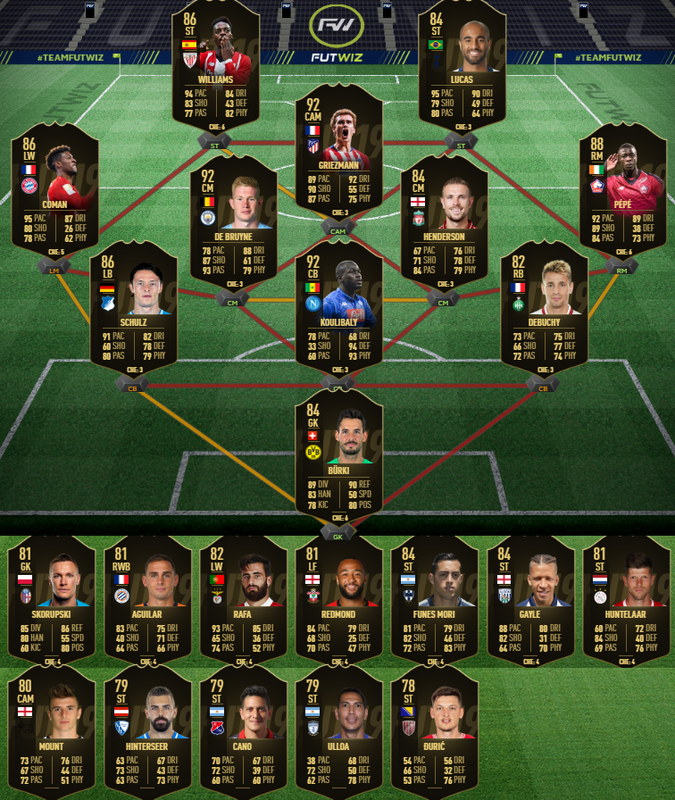 I think we might get one of the better TOTWs yet. There’re a lot of good performers: KDB got 2 assists, Coman scored 2 goals, Griezmann got 1 goal and 1 assist, Pepe got 1+2, a looooooot of many good performers. Kalidou Koulibaly scored 2 goals and it should be enough for his TIF. Someone from LFC for a win vs Chelsea will probably get it. Henderson deserves something after recent run of games. Inaki Williams scored 2 goals and it should be enough for good SIF, even though he has a higher rated Carniball card. Defenders, apart from Koulibaly, are hard to choose: Dante got 7 from L’equipe, Kolarov got MOTM in their 1-0 win.